welcome to Radical Pvt. Ltd. Co. Radical established a paper converting plant at the Suburb of Addis around Tatek Industrial Zone. 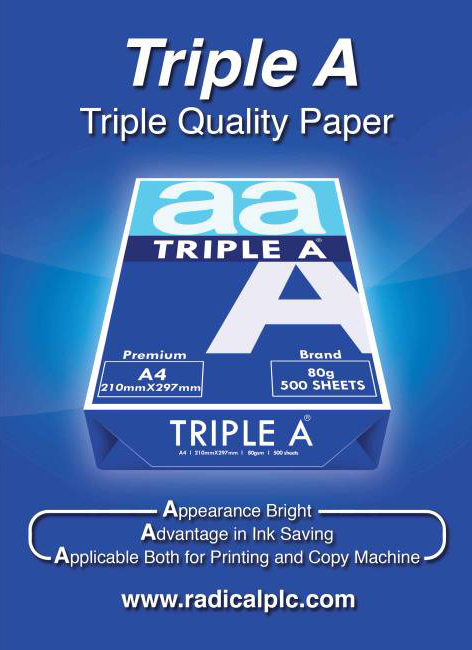 Currently, the plant started production of Quality Red A4 standard quality paper and also recently launched premium quality A4 paper called TRIPLE A.